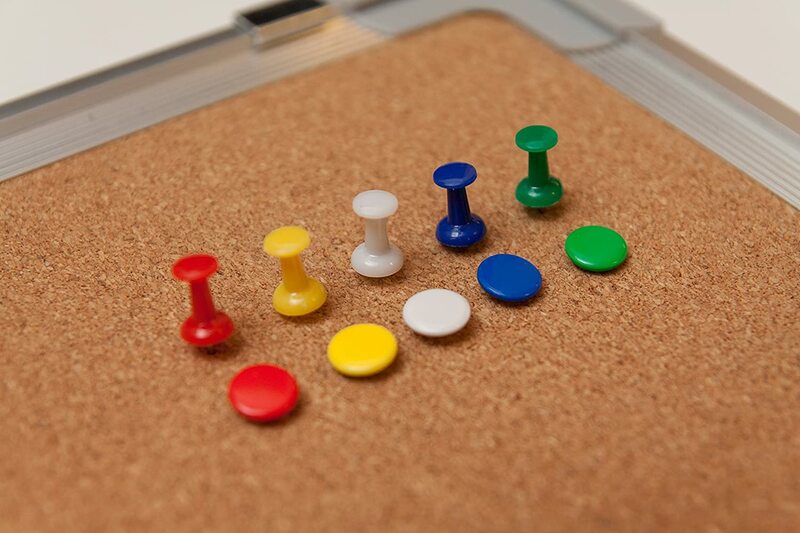 PREMIUM SET - this combo contains 1 cork bulletin board + 10 colored push pins as accessories. 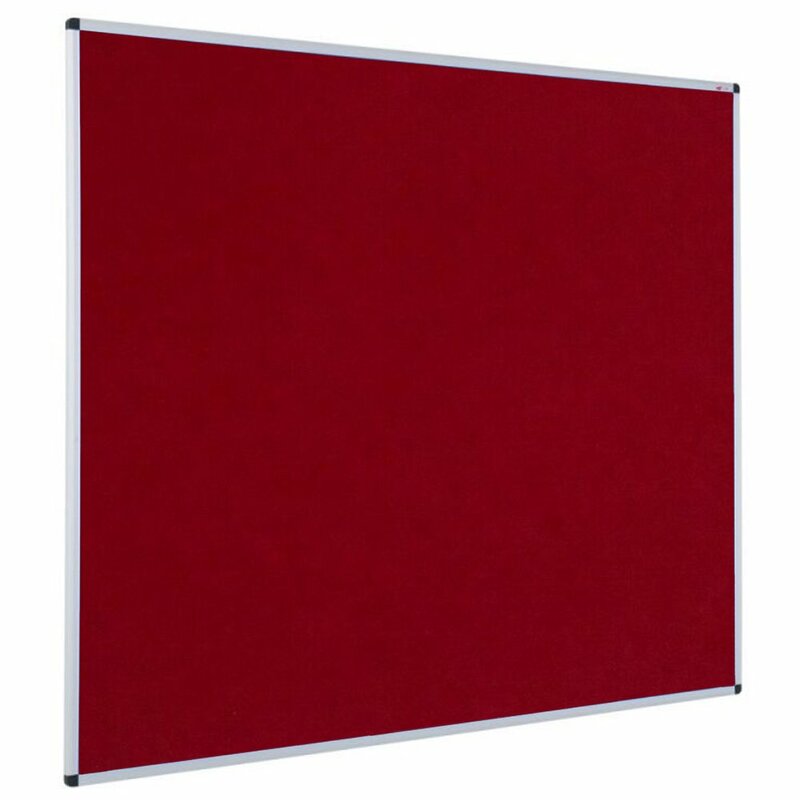 COMFORTABLE DESIGN AND SIZE - exact size of the board is 24" x 18" (Landscape/Horizontal orientation). Movable hanging hooks allow to adjust hanging distance easily (wall mounted). 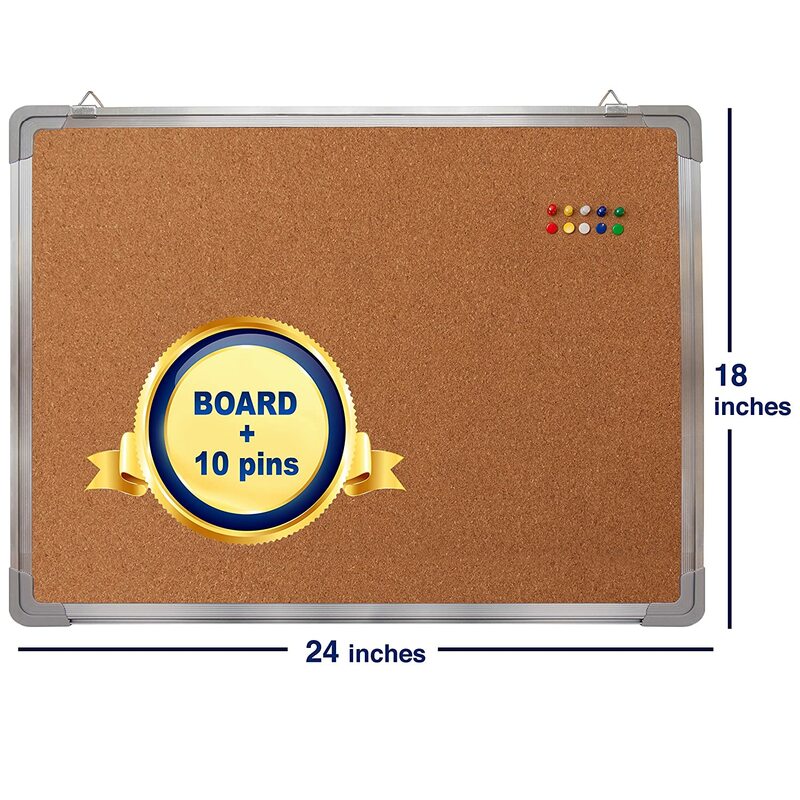 This personal pin board is perfect for presentation and display. 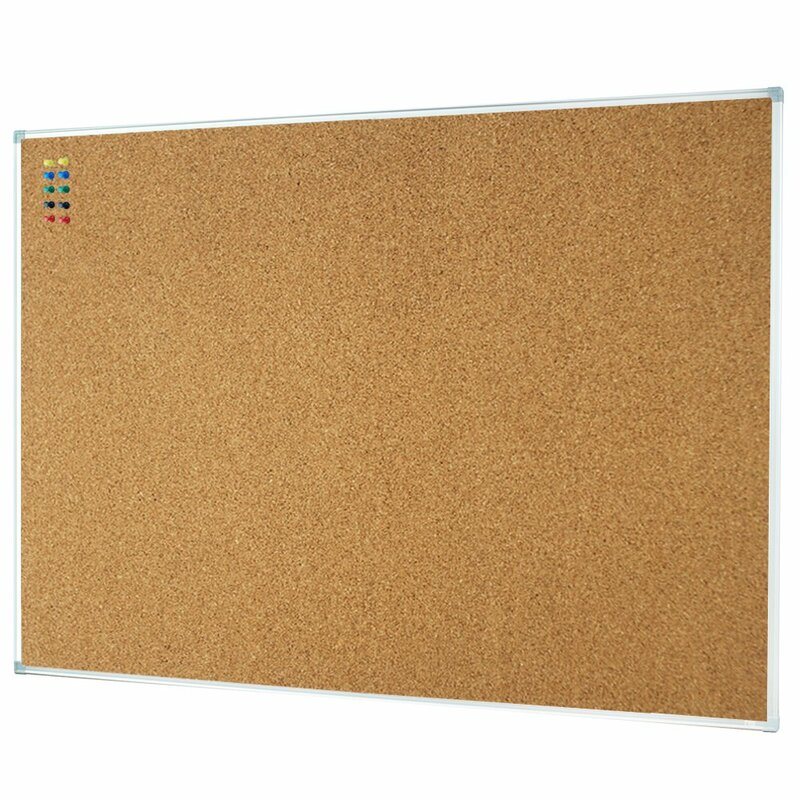 TOP QUALITY STURDY MATERIAL - natural cork surface of the tack board is great for pinning notes, notices, signs, messages, pictures, memos, calendars, menus, reminders and more.The board has heavy duty aluminum frame (more durable than wood framed boards). MULTI-FUNCTIONAL USE - delivers effective performance for weekly and monthly planning. 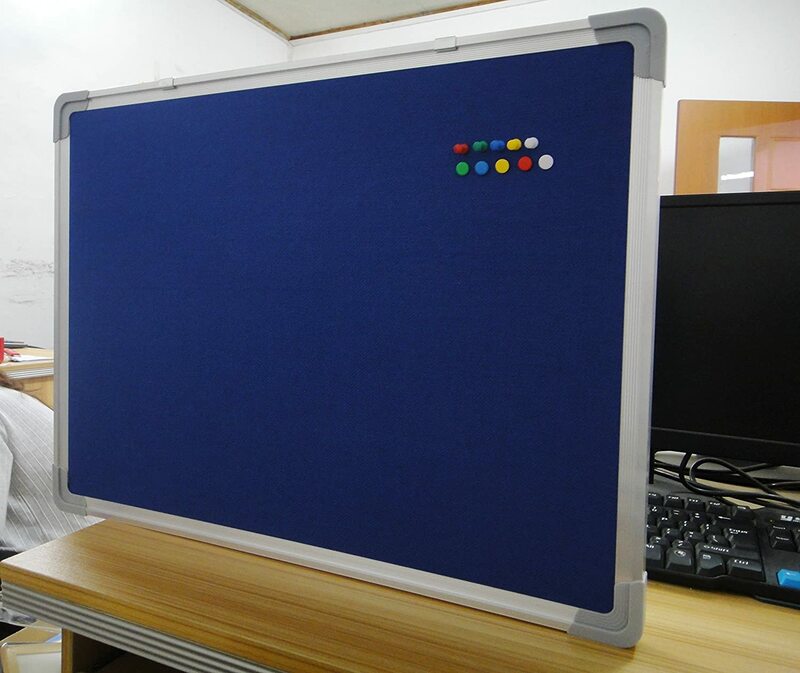 Suitable for home, fridge, office, cubicle, desk, class, school, college, dorm room, kitchen, locker room, child room or any other place. Great help for managers, teachers, students and kids. 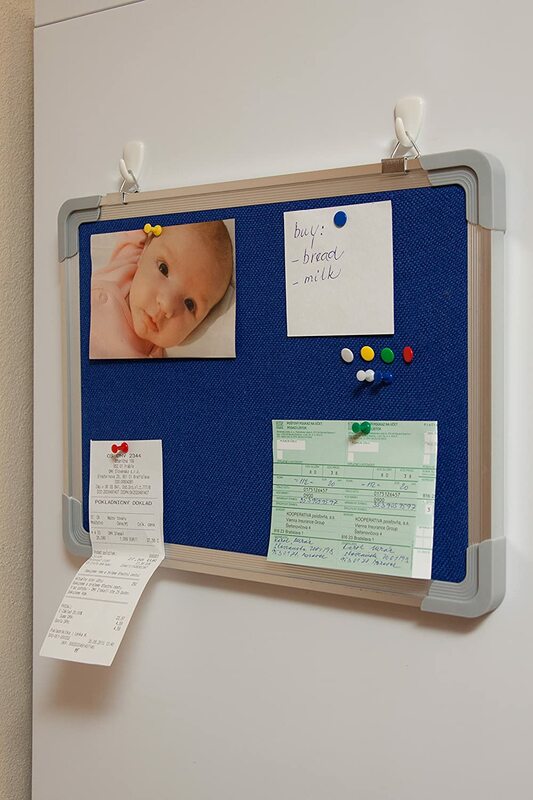 LIFETIME REPLACEMENT GUARANTEE - if you for any reason are not happy with the bulletin board, please contact us, we'll send you a free replacement or refund your money immediately, no questions asked. 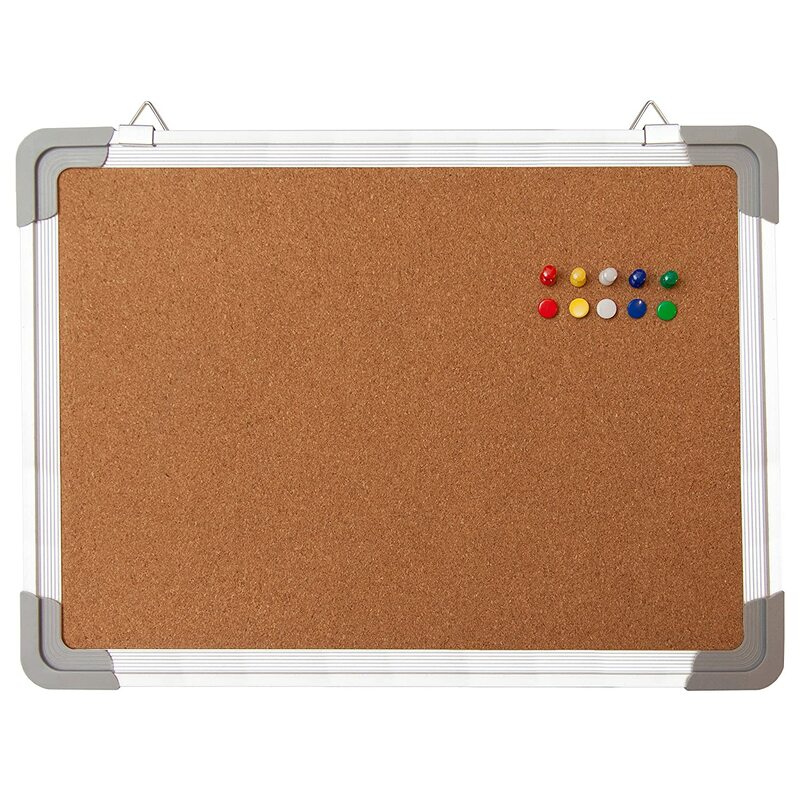 ✔ Premium Pack - contains 1 natural cork bulletin board + 10 color pins. Best value. 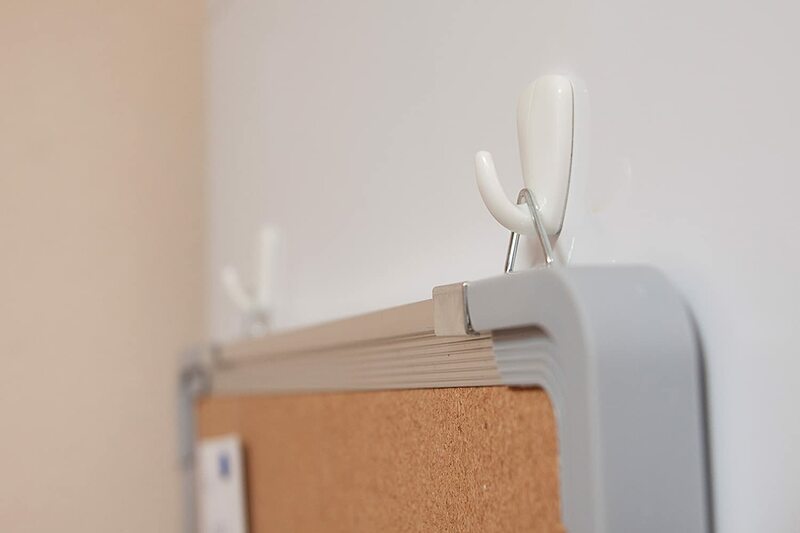 ✔ Easy to install - Movable hanging hooks allow to adjust hanging distance easily. 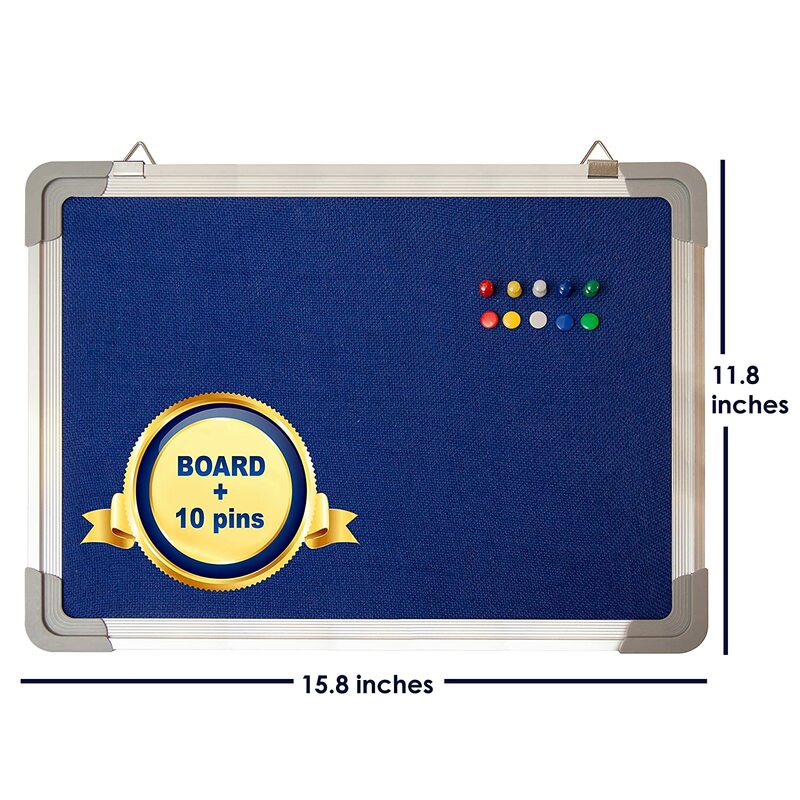 The board has heavy duty aluminum frame. 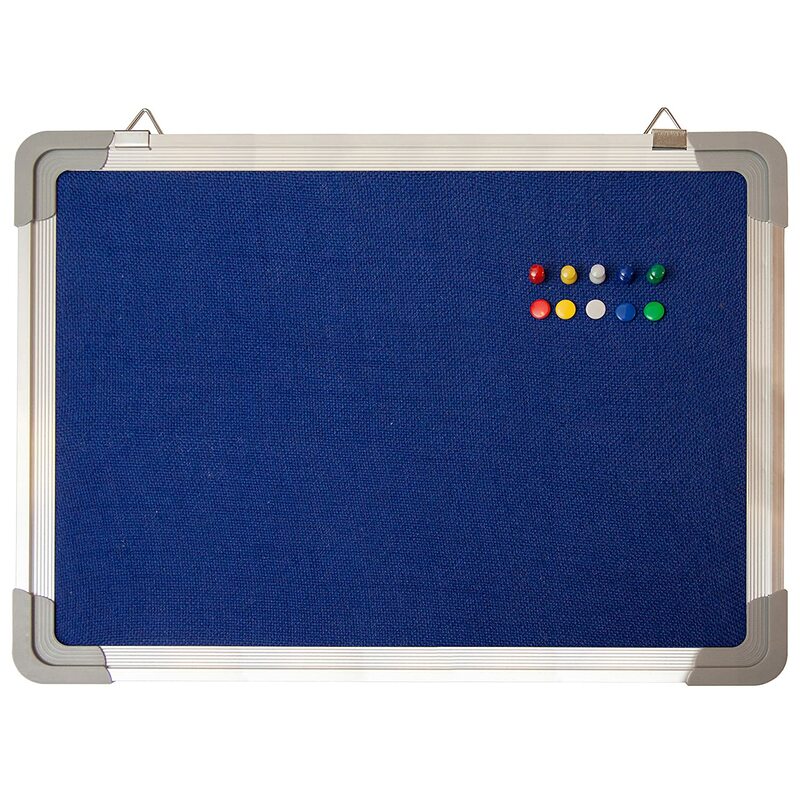 ✔ Multifunctionality - delivers effective performance when planning, education, presentation and organization is needed. 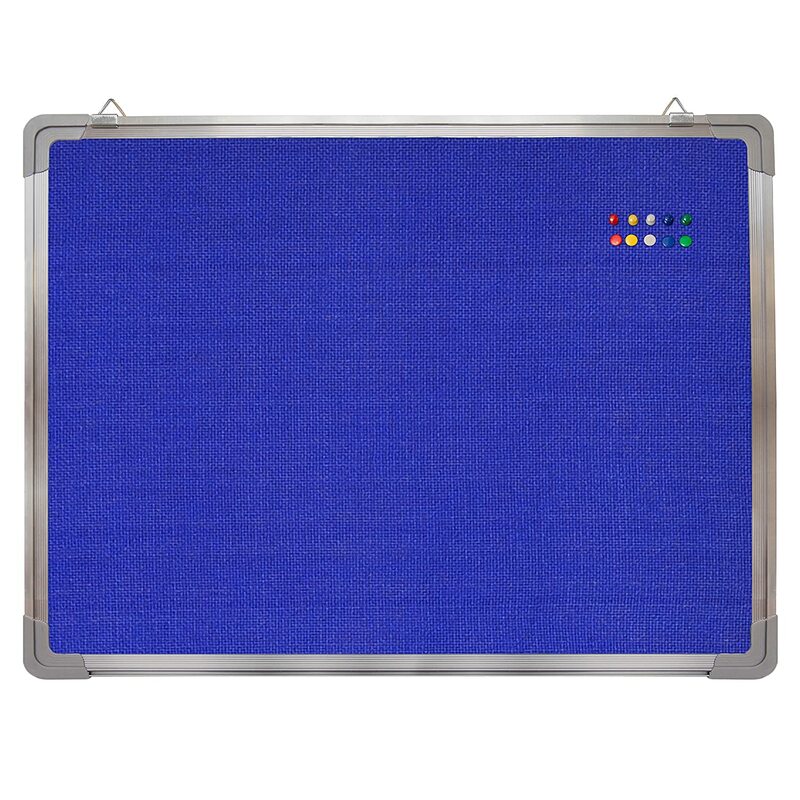 Suitable for home, office, school, dorm room or any other place. Great help for managers, teachers, students and kids. ✔ Top quality material - natural cork surface is easy for organization and planning. 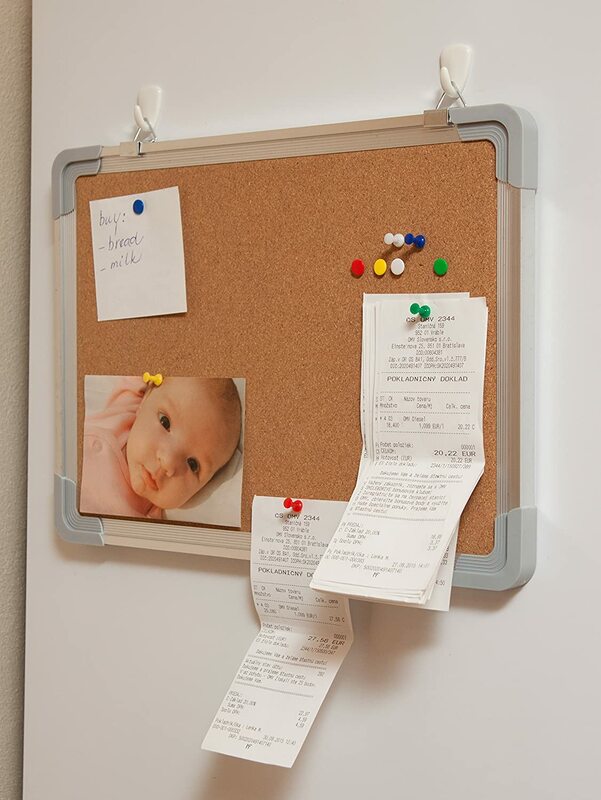 Great for pinning notes, messages, pictures, memos, calendars, menus, reminders and more. 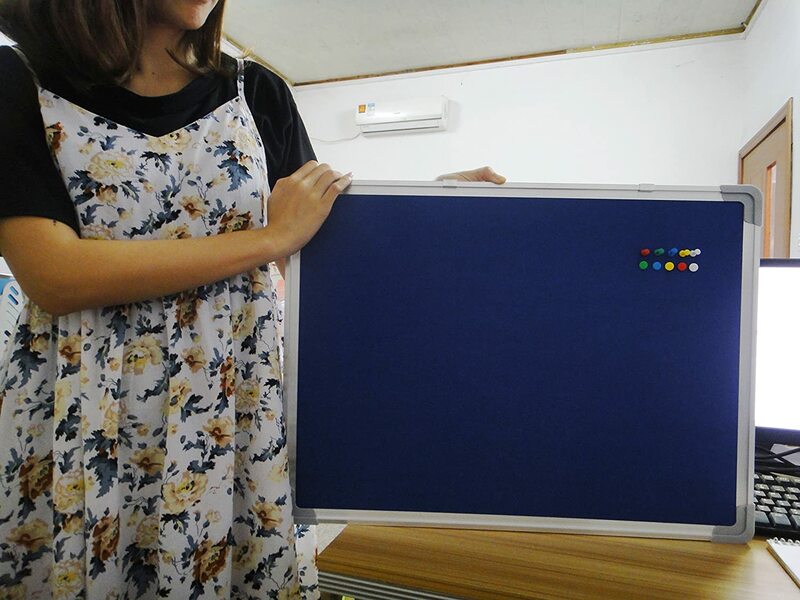 ✔ Perfect Size - exact size of the board is 24" x 18". CHOKING HAZARD: The set contains small parts. 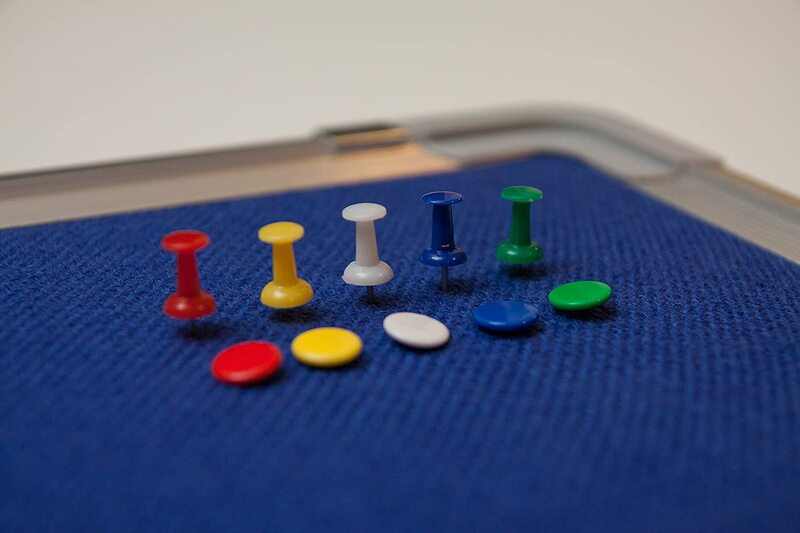 To avoid choking hazard, keep the pins away from kids and babies under 3 years. 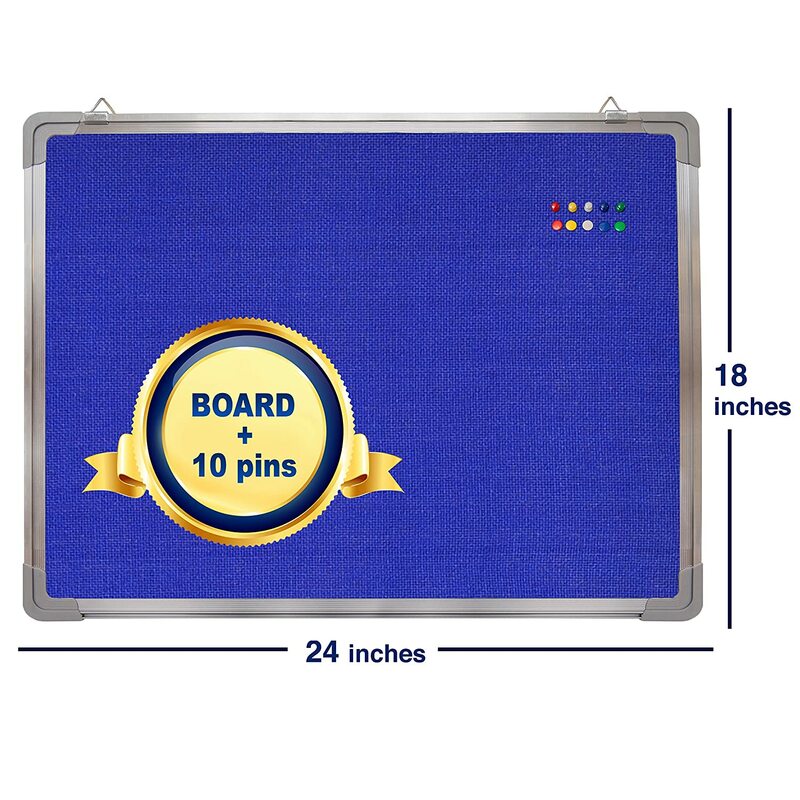 Click the Add to Cart Button at the Top of this Page to Buy the Navy Penguin Bulletin Board Set Now! 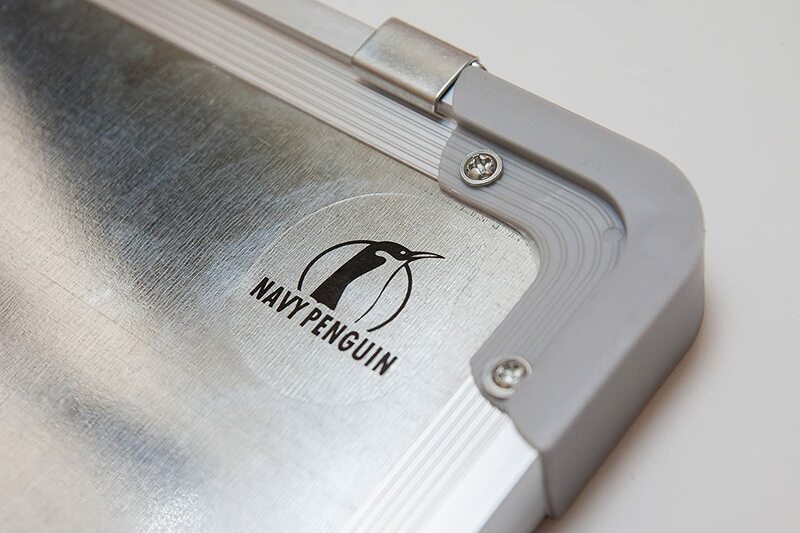 UPDATE I have changed my review to 5 stars-Navy Peguin contacted me in regards to my order.Even before I spoke with them,they had shipped out a replacement order.To me that says a lot now a days about a company.They definitely have my respect and appreciation that I mattered as a customer.I recommend buying their products.I know I will in the future.Thank you very much Tomas at Navy Penguin for caring! My replace board was perfect! 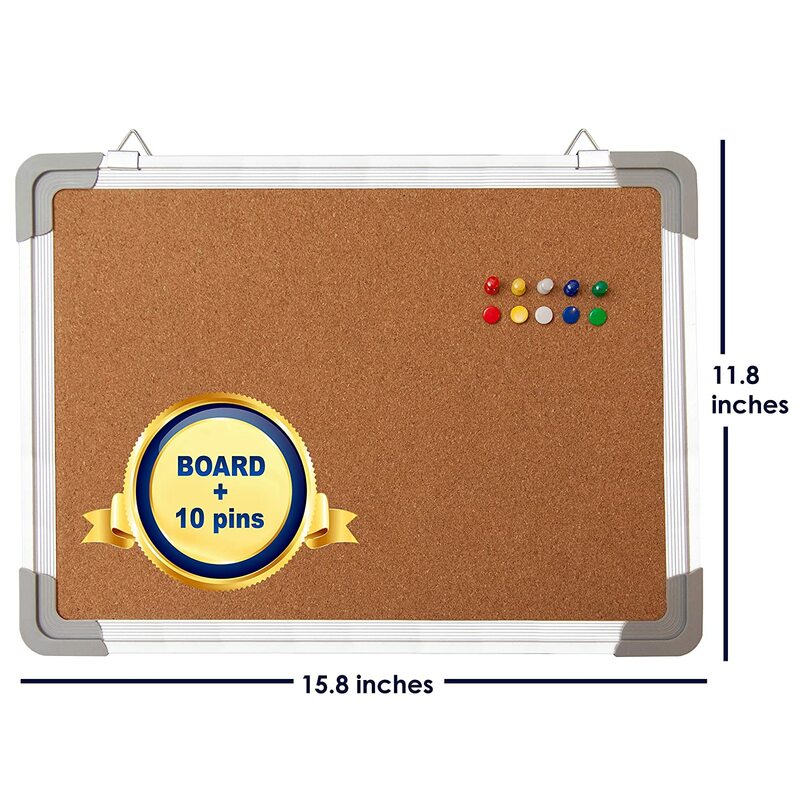 This is a great little tack board. 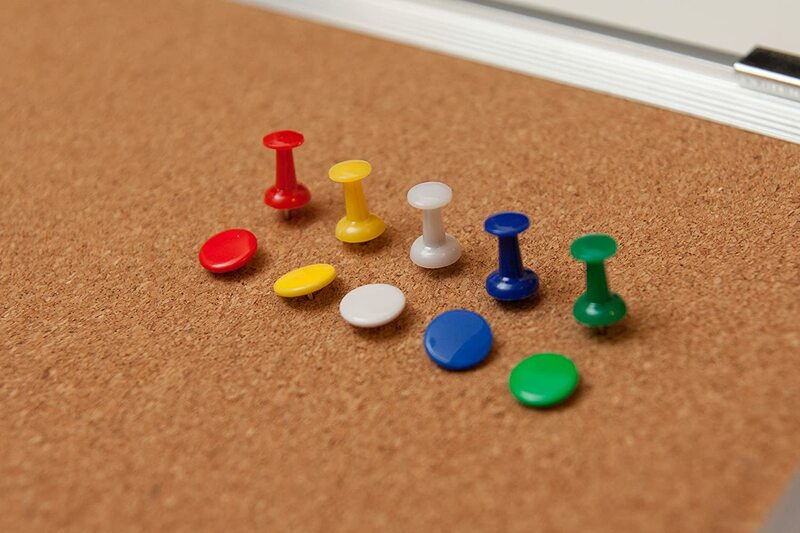 I use many tack boards. This one is small. It has a metal frame, a metal back, and metal hanging mounts. I have hung this from the ceiling, and chose this one because it had the mounting hooks already attached. I am not sure what is behind the blue fabric (where you tack into), but it feels like foam (as opposed to cork). 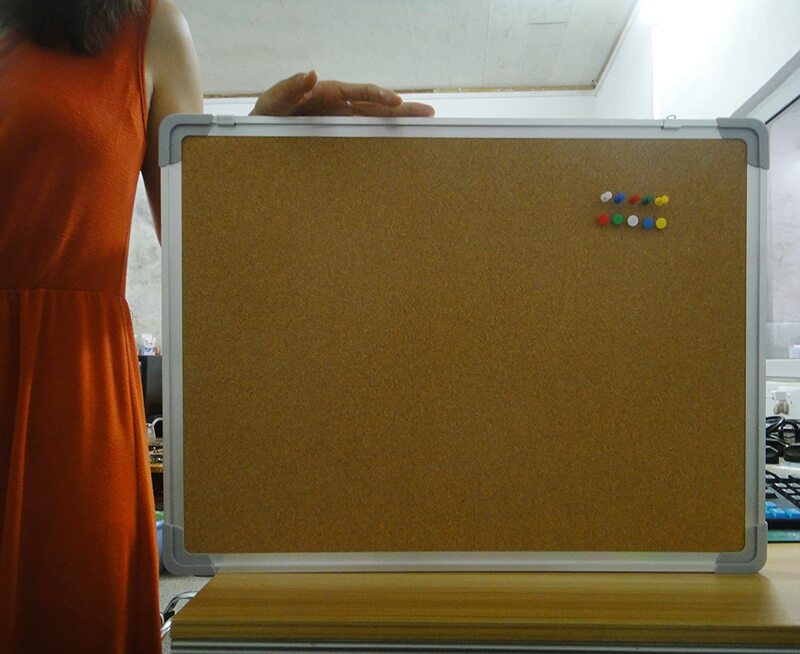 Excellent, small cork board. The pins go in all the way and stay put. It is a small board but that is what I wanted to post reminders or to-do and to-buy lists. This seems to be the only board that has a nice aluminum frame with the nicely rounded corners. 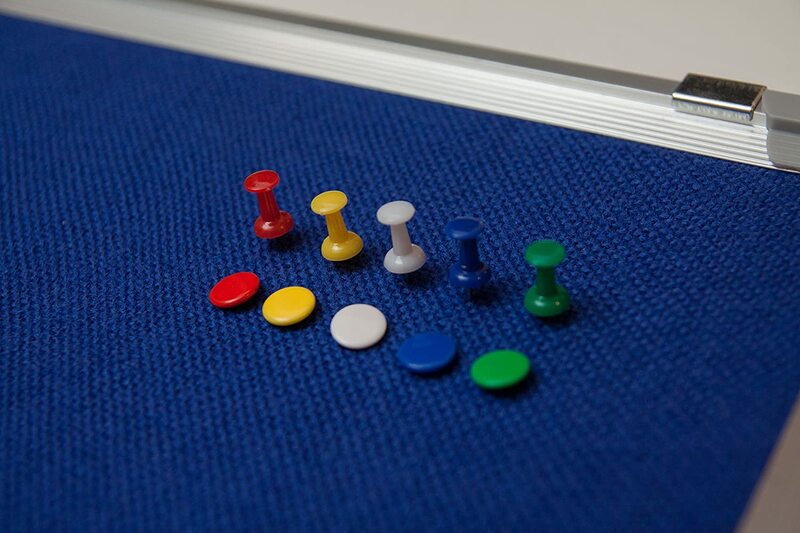 The hanging points slide back and forth to accommodate different hanging requirements. They are on the long side so if you plan on hanging it vertically, you will have to figure out your own way to do so. This was exactly what I was looking for. 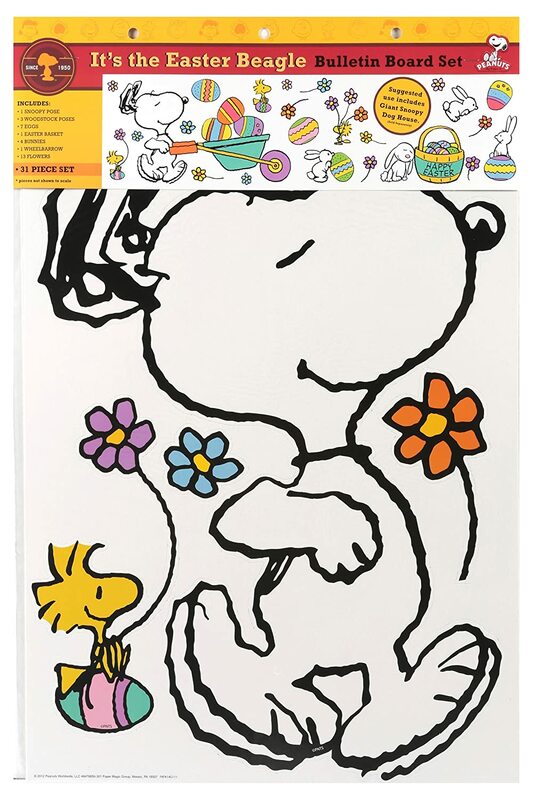 It is very well made, looks and feels sturdy, and has hooks already attached for hanging. To me, this was the best option available on Amazon. I looked in stores also, and the product I received is better that anything I found in the local stores. I used Command hooks to hang, so we'll have to see how those hold up over time. I might have to actually put nails or hooks into the wall, but for now the hooks are holding the board just fine. It's a little on the small side (16 in by 12 in) compared to some that I looked at, good for personal use; it might not be big enough for office or school use, but I didn't want anything too big. They do have a larger option available. The back of it is covered, which prevents the tacks from hitting the wall behind it. Many of the ones I considered did not have backing, or looked cheaply made-- not the case with this one. It is exactly as it was described on Amazon, and in the various positive reviews. I knew from these reviews that it really only hangs up longways ('landscape', not 'portrait'), but that's what I wanted. It could be made to hang the other way with some adjustments. I would buy this one again if, or when, we need another. It's not the cheapest option, but not expensive either, and it's worth what I paid for it. 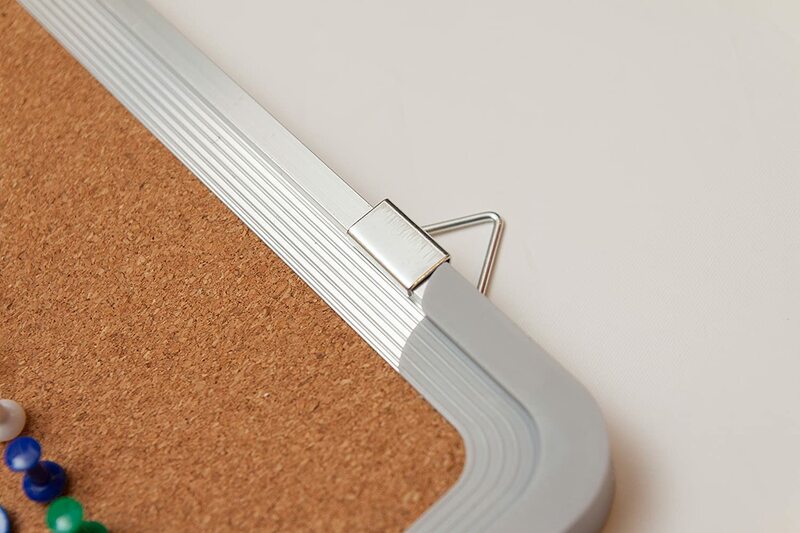 Metal frame around edges of cork board. On top edge, the 2 sliding hangers allow for flexible wall mounting. 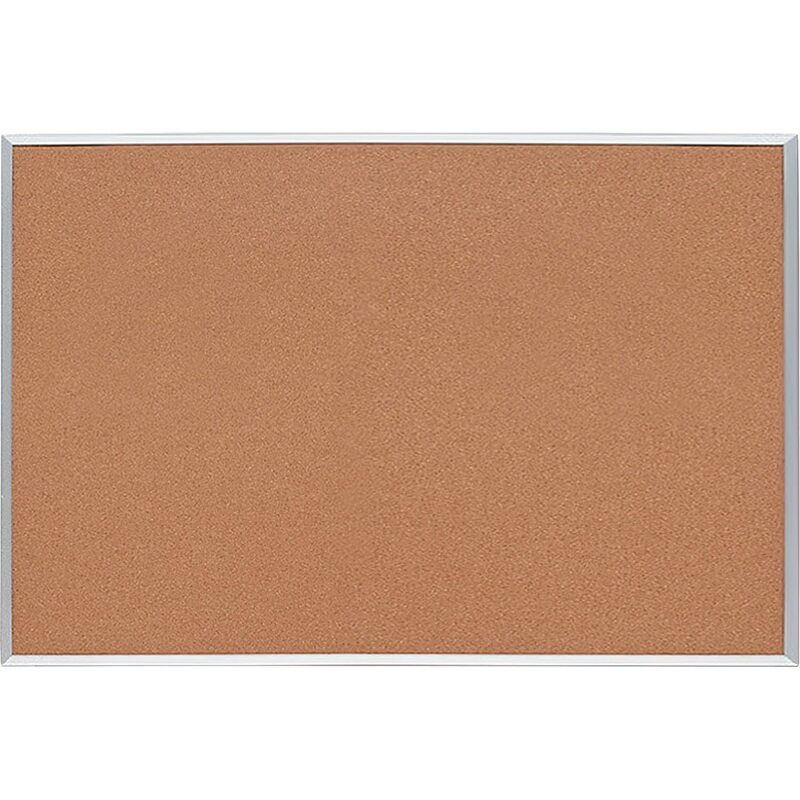 Other bulletin boards have fixed mounting tabs only on the corners. Nice touch to include packets of thumbtacks and pushpins with it. Don't overlook them when opening. 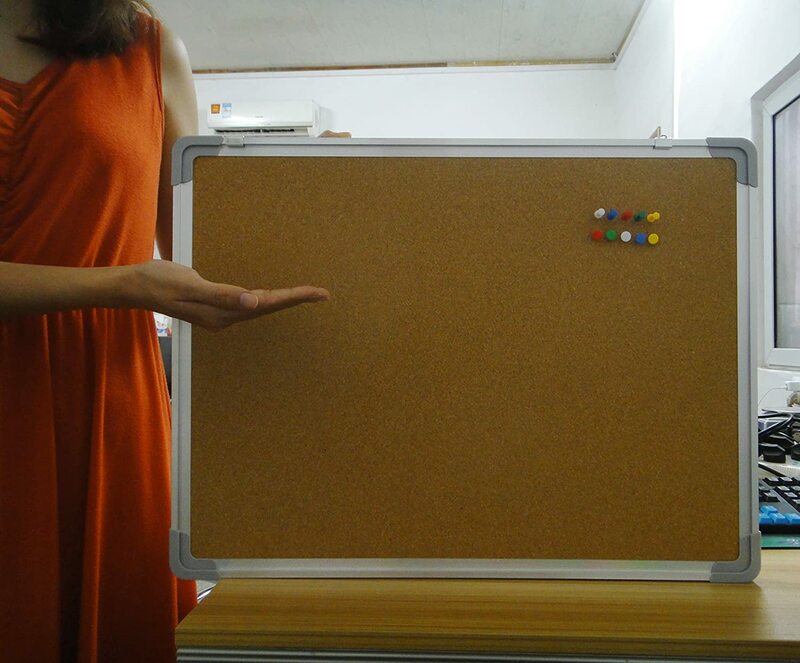 Since I'm lazy, I just stuck 2 of the pushpins into the drywall, hung up the bulletin board and began using it immediately. 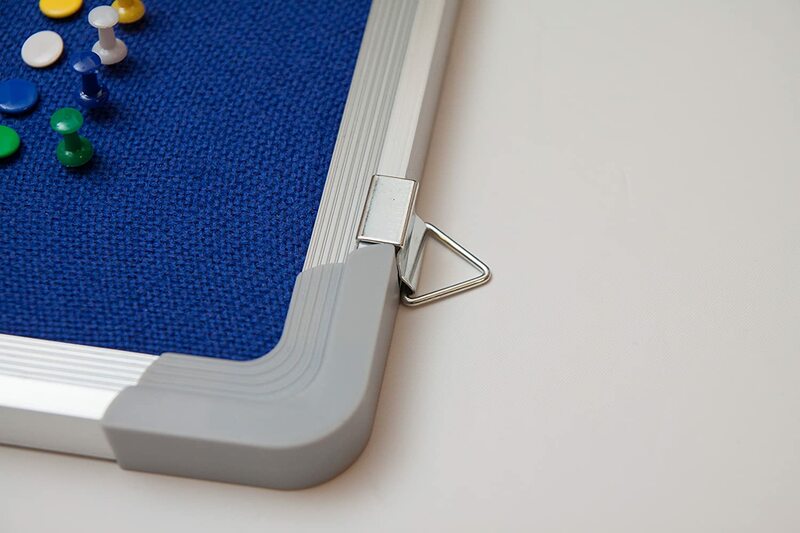 Others might prefer a more secure mounting solution using wall anchors.